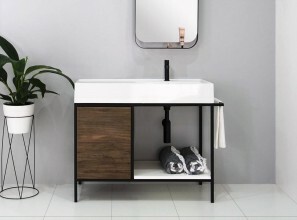 Zone Denmark utilises minimalist design with quality materials to create products that function well, yet are beautiful to look at. 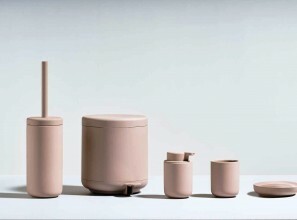 Their Ume range of bathroom accessories, available at Oliver Thom, focuses on a soft design and colour range. 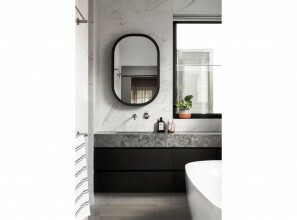 This renovated, compact bathroom uses a monochromatic colour palette and a wall hung vanity to increase the perception of space; while opting for bold, statement making finishes for the bathroom vanity and walls. 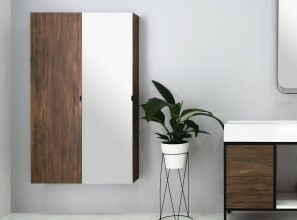 The Gino Tallboy from ADP is a wall-hung, 1500mm high x 450mm wide x 200mm deep bathroom cabinet, which comes in three versions: woodgrain/polyurethane front from $1049; and mirrored front from $1199. 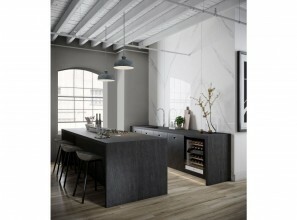 Eon from ADP is a reversible solid surface basin with overflow, available in Gloss White or Matte White. 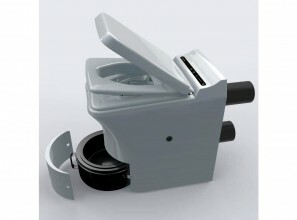 It has a narrow profile suitable for small bathrooms, ensuites and powder rooms. 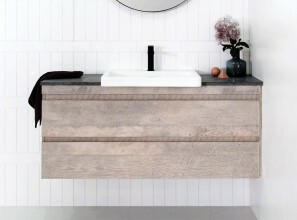 Semi-recessed bathroom vanities from ADP are a slimline solution to make optimum use of small bathrooms. 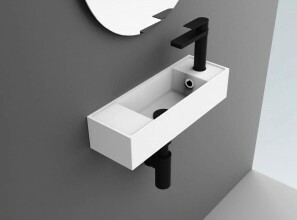 The reduced cabinet depth saves on space, without sacrificing basin size. 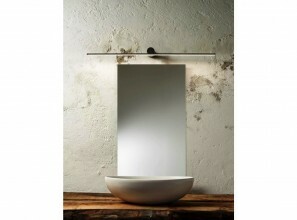 The Antonio full-depth bathroom vanity from ADP pairs stunning Scarabeo Italian ceramic with a striking metal frame. 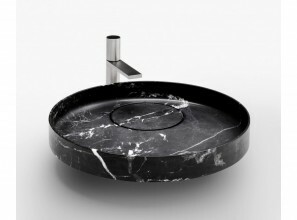 A new collection of sculptural bathroom basins, designed by architect Victor Vasilev for Falper, is available from Rogerseller. 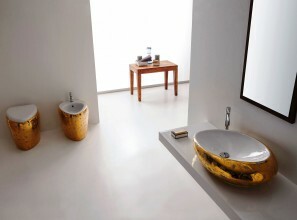 Once the utilitarian room of the house, we now see bathrooms in a very different light. 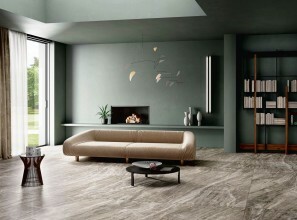 We now want a highly functional space; as well as beauty, maybe even a little glamour.